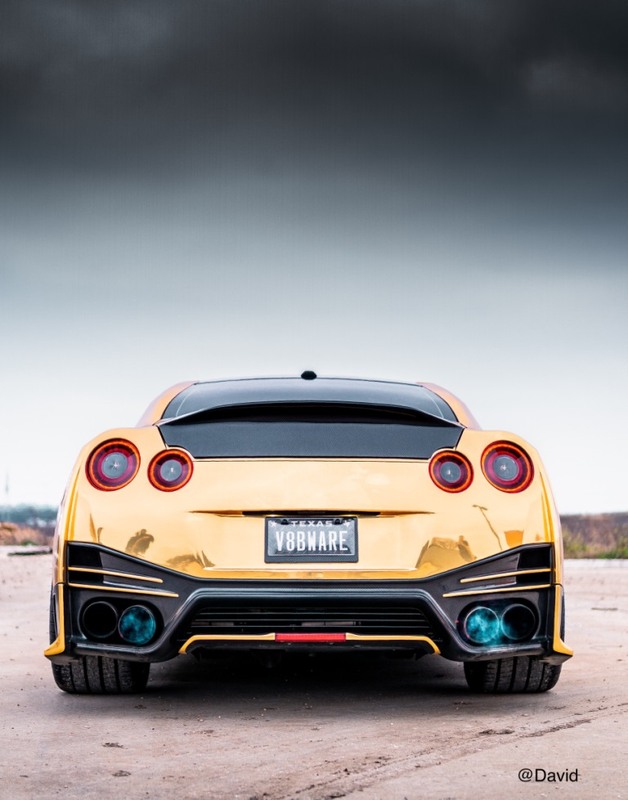 From RevoZport comes this stunning exclusive limited edition Nissan GT-R aerokit. Custom designed and hand crafted for the US based customer’s 2018 GT-R. This aerokit continues to uphold the RevoZport design philosophy of; always combining function, form and beauty. To stand strong and create products that work and provide the necessary benefit to each vehicle it’s designed for. Aerodynamic, Cooling and Weight savings are the three guiding principals of each RevoZport design experience. Whilst we all know the GT-R has all it takes to be the supercar in its era; its speed, performance, technology and power are ranked at the top of their tiers. The big question the customer asked was, would the car sustain the heat and weight when running in full combat mode? To make sure it doesRevoZport needed to adhere more than ever to their three guiding principals and to do so, they answered the call by developing a range of unique individually tailored aerodynamic products. Each product developed was then tested in the most advanced full-scale wind tunnel available.One usually reserved only for Race teams and OEM manufacturers in the UK. 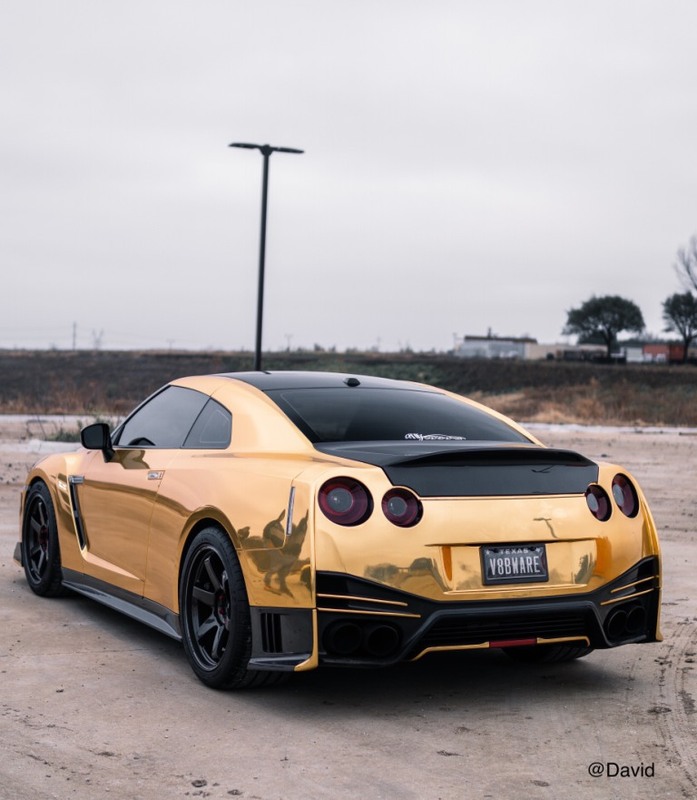 The end result was a stunning Gloss Black Carbon Fibre aerokit that helped to offset the custom Gold wrap. The complete kit contains a number of individual aerodynamic enhancements, including; Front Splitter System, Side Skirts, Dive Plain’s, Rear Diffuser and optional Swan Neck Rear Spoiler. Plus one other unique piece, that often gets overlooked the trunk. The thinking behind the development of and fitting of abespoke trunk, was theresult of the customer wanting the best of both worlds. On one hand he did not want the typical high profile appearancethat is often the case and then on the other he was demanding a far better downforce than the original OEM rear set up offered. The RevoZport custom designed fitted DN Trunk ensured his brief was answered. 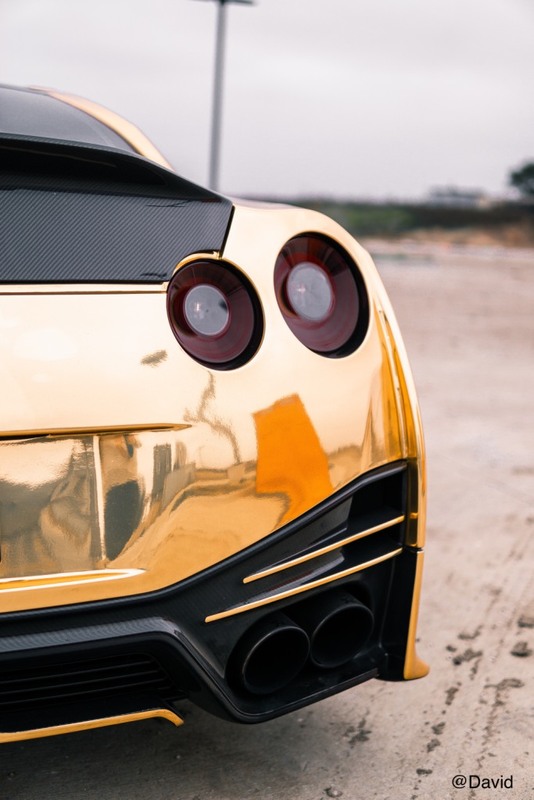 As cars go this surely is a case where everything that glitters is so much more than Gold.